How would you like to win a phenomenal prize package chock full of wonderful items for your dad, husband or other special man in your life? I’m thrilled to participate in this dynamite giveaway featuring home and garden products, games, pet products, gadget accessories, tools, personal care products and more. Be sure to come back every day to take advantage of multiple free daily entries. Thanks, and good luck! 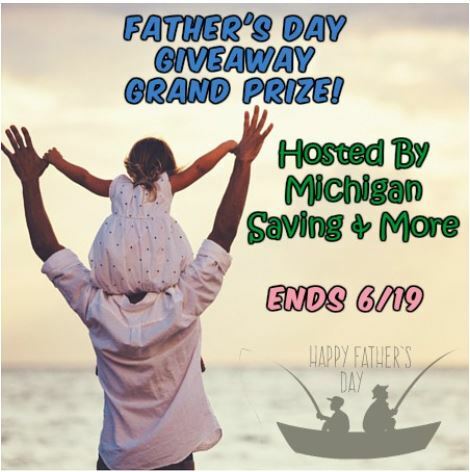 Welcome to the Father’s Day Grand Prize Giveaway, and Happy Father’s Day to all our friends and family! Check out the Mother’s Day/Father’s Day Gift Guide for great gift ideas. 4 Winners will Share More Than $630 ARV in Prizes! Thanks to all the wonderful bloggers who help promote these contests! Please visit and follow them so we all can have great contests for our followers! Thanks to all of these fantastic sponsors who make this giveaway possible. Remember: You are not eligible if you have won from any sponsor in the last 12 months; this includes contests on other websites. Anchor Bay Entertainment – Against the Wild 2 – See Review HERE. Brooklyn Bean Roastery – Cocomocha – See Review HERE. Brooklyn Bean Roastery – Brooklyn Cheesecake – See Review HERE. You are not eligible if you have won a prize from any of the sponsors in the last 12 months. This giveaway is valid in the United States only, and entrants must be 18+ years of age to enter. This giveaway event will end at 11:59 p.m. eastern time on 6/19/16. The winners will have 48 hours to email their information back to las93063 at gmail dot com or a new winner will be drawn; you may want to add this email address as a safe sender so it won’t go to your spam folder. The sponsors are each responsible for shipment of the above prizes. No blog associated with this contest is responsible for prize fulfillment. If you would like to be a sponsor in a giveaway like this, please email Laura Smith at las930 (at)gmail (dot) com. Also, we all “love it if you like us” on Facebook! If you follow our blogs on social media, it helps us bring you only the best giveaways and more of them! Taste Trunk Review: Gift Boxes for Dads, Grads & Everyone Else!